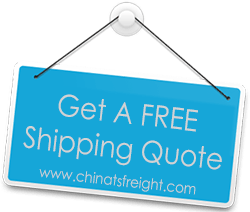 TS Freight is one of the best companies for cargo shipping from China. We are a highly professional international freight forwarding and logistics service provider, devoted towards offering our global clientele with perfectly integrated and suitably customized services with a quick turnaround time. Our services are specifically designed to suit the needs of both small and large companies and organizations, and we also cater to the logistics needs of non-profit organizations, government agencies, along with individuals and families as well. The reason we are able to do this with utmost perfection is because our highly experienced specialists team works in perfect sync and coordination with our dedicated service team, so that every single cargo shipping order we undertake is delivered on time in perfect condition, guaranteeing 100% customer satisfaction. With our Headquarters in Shenzhen, we also have affiliate branches in all the major cities of China including Hong Kong, Guangzhou, Ningbo, Shanghai, Qingdao and Tianjin. This allows for a stronger network, while it also helps us offer our clients more cost effective rates for cargo shipping orders. We are a highly reputed international freight forwarding company and hold a license from the P. R. China’s Ministry of Commerce, which authorizes us for freight forwarding customs brokerage, imports and exports, insurance, inspection, short distance transport, international express and consultation service for a plethora of commodities. We strive to provide our clients a convenient and safe ‘One Stop’, so that all their freight forwarding needs can be catered to under a single roof. If you are looking for a China Freight Forwarder that offers diligent and professional shipping from China services that can smoothen out your freight forwarding processes so that you can concentrate on growing your business, then TS Freight is definitely the right logistics partner for you!